Serena Williams is such a dynamic, powerful, beautiful, black Superwoman athlete that everything she does and is hits society like an exploding firecracker. That’s five reasons why her fans – especially her black fans – are so protective of her. That was obvious when the New York Times got beaten up so badly by its readers over focusing its article “Tennis’s Top Women Balance Body Image With Ambition” around Serena’s physique. Even the Times’ Public Editor, Margaret Sullivan, apologized for the article’s lack of depth. 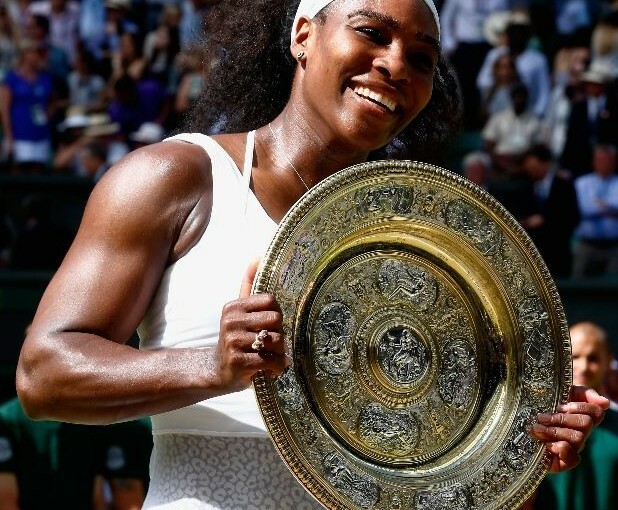 Another hovering controversy about Serena was handled with much grace by ESPN analysts on July 12, the day after she won her sixth Wimbledon crown and 21st Grand Slam. Her detractors – some of whom clearly are racists or sexists – often dismiss her by claiming she merely bludgeons foes into defeat with her awesome power. It’s the classic “blacks win with brawn; whites win with brains” argument, but before the men’s final, ESPN’s tennis analysts – all exceptional pros in their day – struck blow after blow against that stereotype. Chris Evert raved about her with the loyalty of a twin sister, praising Serena’s competitiveness that has left her within one title – the U.S. Open – of only the fourth calendar year Grand Slam in women’s tennis history, and the first since Steffi Graf achieved it in 1988. Cliff Drysdale pointed out that Serena made a critical adjustment three years ago when she changed to the same kind of racket Roger Federer uses, thus gaining control over her sometimes erratic forehand. Then Mary Joe Fernandez hit the “brains vs. brawn” bull’s-eye, buttressed by Granderson praising Serena’s problem-solving skills. “What’s impressed me the most, LZ, about Serena throughout these Slams this season is the way she hasn’t panicked,” Fernandez said. “She hasn’t played her best. She’s been down a set and a break, two points from losing to Heather Watson here. And she figures things out.